Professor Sally Curtis studied Physiology with Pharmacology at the University of Southampton. She graduated in 1998 and worked in several teaching roles before accepting the post of lecturer and deputy programme lead on the new widening participation in medicine programme, BM6, in 2002. Sally then worked on the BM6 programme alongside studying for a PhD in Health Sciences, investigating muscle co-activation in chronic neck pain. As the BM6 programme lead (and initially deputy programme lead) Sally co-designed and delivered the innovative BM6 curriculum from its inception, receiving the Vice Chancellor’s teaching excellence award in 2006. BM6 has the reputation as one of the most respected WP in medicine programmes in the UK, receiving national recognition and featuring in several national reports as an example of best practice. Sally is a member of the Medical Schools Council Selection Alliance (MSCSA) and UKCAT consortium. In addition, in 2015 she was elected to a four-year tenure on the MSCSA executive board, which is responsible for implementing the recommendations made in the Medical Schools Council’s 2014 Selecting for Excellence final report. The board implement successful change management initiatives and formulate strategic plans developing national policy relating to selection and widening participation. Sally co-wrote the current indicators of best practice in the use of contextual admissions and leads the national data monitoring group for MSCSA board. This group works closely with HESA, UKMED and UCAS and has established a reliable national data set and a robust process for collating and disseminating data whilst monitoring national WP progress at a national level. Sally’s nationally recognised expertise has led to many invitations to act as an advisor for a number of institutions, organisations and advisory bodies, including UK and Scottish Governments and many Russell group universities. She provides advice on the design and development of curricula, programme design, admissions processes and student support for WP programmes. 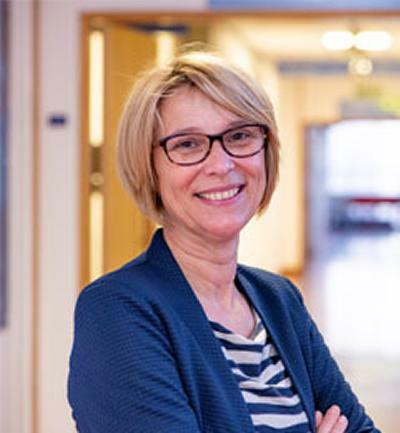 Sally is also an external associate member of the Centre for Healthcare Research and Innovation at the University of Aberdeen and a founder member of the WP education research special interest group for the Association for the study of Medical Education (ASME). Sally leads and reviews innovative approaches to WP and inclusivity at a faculty, university, national and international level. Through her contributions to the University of Southampton she been closely involved in the development of the inclusivity policy, programme regulations, policies and packages supporting students from a range of underrepresented backgrounds. Sally has developed and delivered innovative outreach activities in schools and the University, including Easter and summer residential events. Following on from a number of research projects Sally has recently developed a series of workshops to support WP students’ transition and success in medicine. The evaluation of this innovative intervention is funded by the General Medical Council’s (GMC) Education and Standards Directorate, who are using this framework as a case study of best practice. Sally is developing and leading a programme of research in Medical Education at the University of Southampton. She is the main supervisor for a PhD student researching WP progression and retention and is co supervising a second PhD student, with Prof Jen Cleland in Aberdeen, researching WP graduate outcomes. Sally has published a short series of papers on WP in the Journal of the Royal Society of Medicine, the first to publish detailed admissions and progression data in the UK. Smart, K., & Curtis, S. A. (2013). Assessment of the effectiveness of undergraduate pain education at the University of Southampton’s Faculty of Medicine in preparing students for clinical placements. ASME Annual Scientific Meeting, United Kingdom. Curtis, S. A., Kallenberg, L. A., & Burridge, J. H. (2011). Correlations between pain and fatigue ratings and muscle activity during a sustained fatiguing task in individuals with chronic neck pain. Poster session presented at Joint British Pain Society and Canadian Pain Society Annual Scientific Meeting Conference, United Kingdom. Curtis, S. A., Monkhouse, M., & Price, C. (2010). A novel interdisciplinary model for chronic pain education. Poster session presented at Pain Education Symposium Official Satellite Symposium of the 13th World Congress on Pain, Canada. Galbraith, K., Curtis, S., & McBride, A. (2010). A problem based approach to discussing diversity may be applied to interprofessional education. Poster session presented at 2nd Annual Meeting of the Academy of Medical Educators, United Kingdom. Curtis, S. A., & Galbraith, K. (2010). Introducing diversity to the undergraduate medical curriculum. Poster session presented at AoME conference, United Kingdom. Curtis, S. A., Kallenberg, L. A., & Burridge, J. H. (2010). Neck muscle synergy during arm raise exercises in individuals with chronic neck pain of a traumatic and non-traumatic onset. ISEK 2010: XVIII Congress of the International Society of Electrophysiology and Kinesiology, . Curtis, S. A., Kallenberg, LA., & Burridge, J. H. (2010). Superficial neck muscle synergy during head raise exercises in individuals with chronic neck pain of a traumatic and non-traumatic onset. Poster session presented at XVIII Congress of the International Society of Electrophysiology and Kinesiology, Denmark. Blundell, C. J., Curtis, S. A., & Turner, L. M. (2006). Embedding a widening access to medicine programme in Southampton Medical School. Paper presented at AMEE Annual Conference, Italy. Curtis, S. A., Blundell, C. J., & Turner, L. (2006). The effect of English language skills on academic performance of medical students on widening access course. ASME Annual Conference, United Kingdom. Curtis, S. A., Burridge, J. H., & DeStefano, A. (2006). The relationship between sternocleidomastoid activity and neck disability index in chronic pain participants. Poster session presented at International Society of Electrophysiology and Kinesiology 2006, Italy. Curtis, S. A., Burridge, J. H., & DeStefano, A. (2006). The relationship between sternocleidomastoid activity and the Neck Disability Index in chronic pain participants (pilot study). Poster session presented at XVI Congress of the International Society of Electrophysiology and Kinesiology, Italy. Turner, L., Blundell, C. J., & Curtis, S. A. (2006). Working with communities to successfully increase the applications to a widening access to medicine programme. Paper presented at EAN Annual Conference: The Social Role of Universities, Greece. As Programme Leader for BM6 widening access I deliver lectures and small group teaching on a wide range of scientific topics and professionalism associated to health care. I also teach on the BM5 and BM4 programmes and supervise 4th year project students.